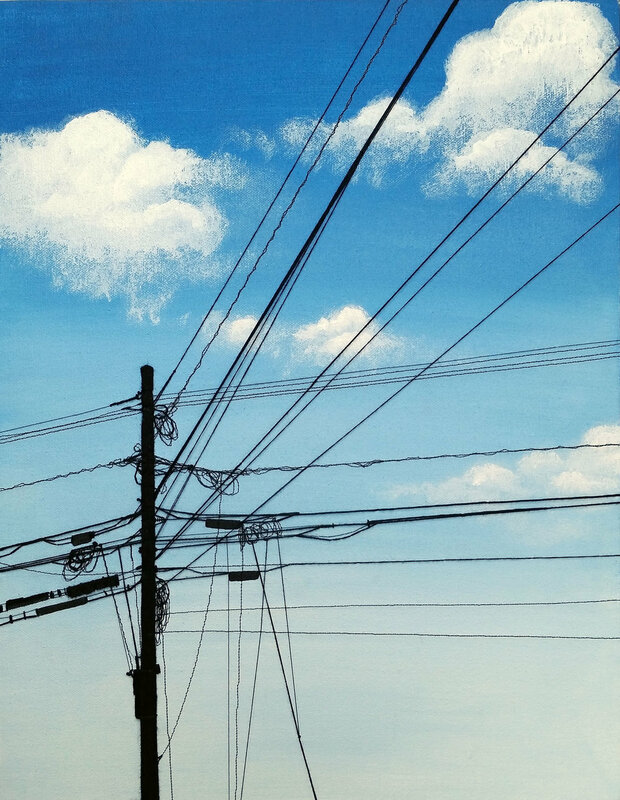 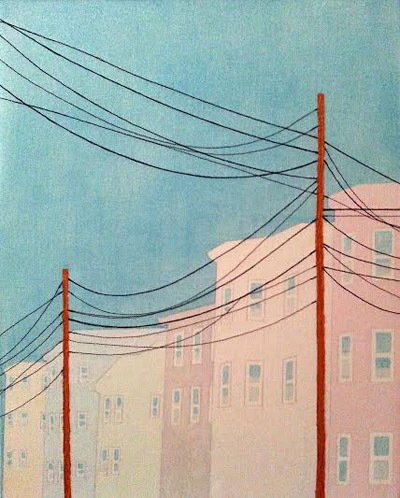 Pastel Street, acrylic, thread, gouache on canvas, 20" x 16"
Grace Durnford received her BFA from the Rhode Island School of Design where she concentrated in Textile Design. 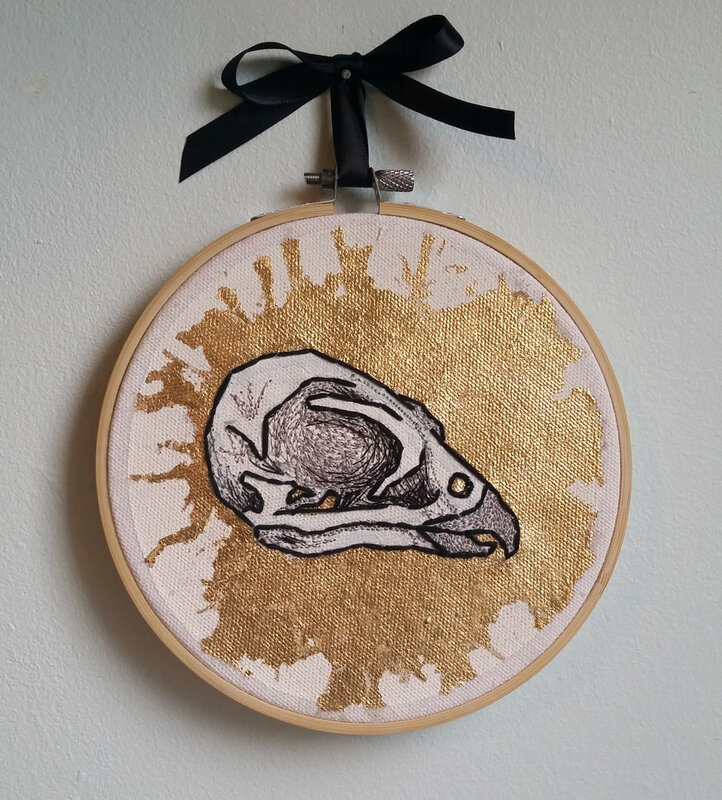 Intricacy and precision are both hallmarks of her work which spans a variety of mediums including paint, colored pencil, chalk pastel, sewing thread and embroidery floss. 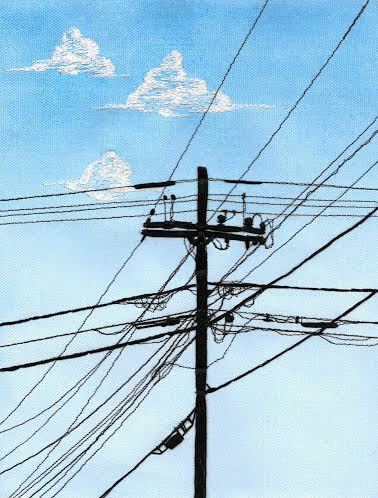 Using a distinct visual language, she relies heavily on delicate lines of varying weight. 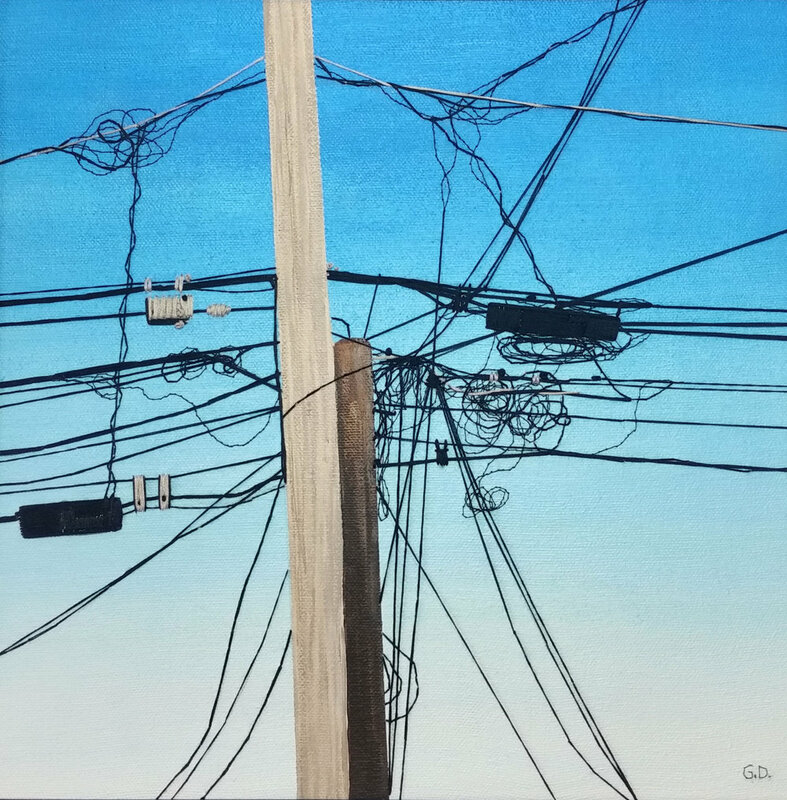 To emphasize form and outline, she distills busy city streets into contemplative compositions made up of only a few carefully chosen elements. 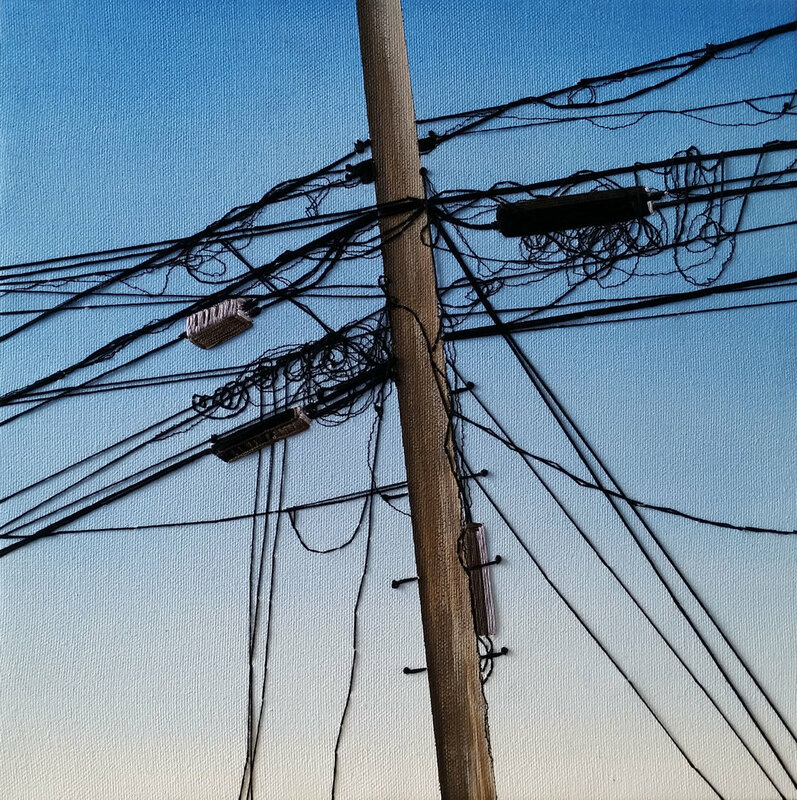 Her work has been shown both in New York and across the Boston area. 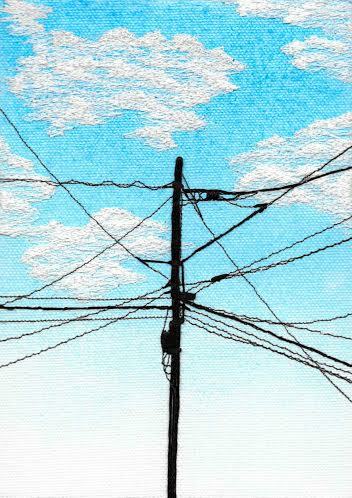 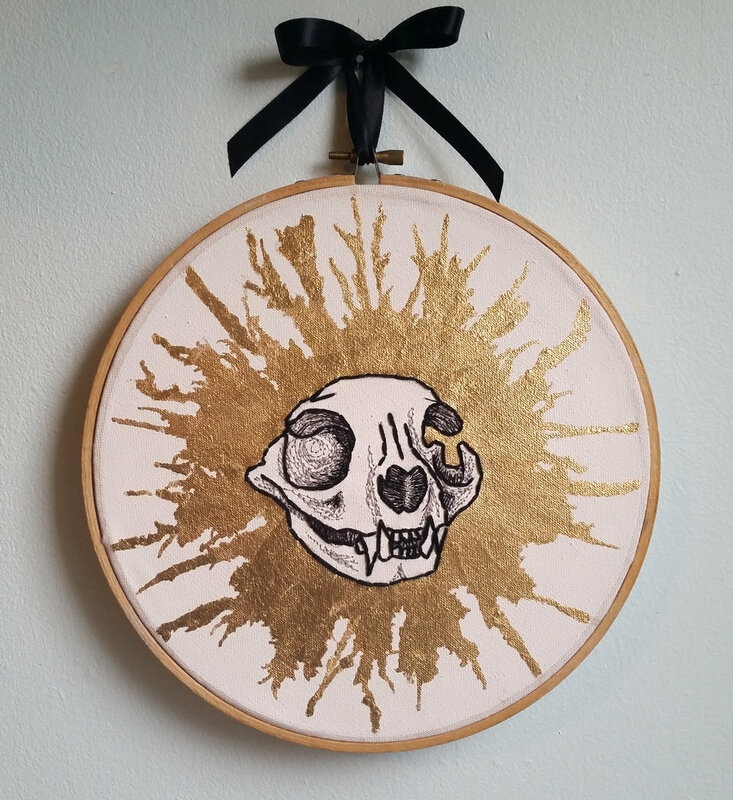 When not working on expanding her collection of sewn cityscapes, she can be found obsessively doodling patterns on any blank surface within reach, volunteering with the Somerville Arts Council, or supporting her local pub(s). 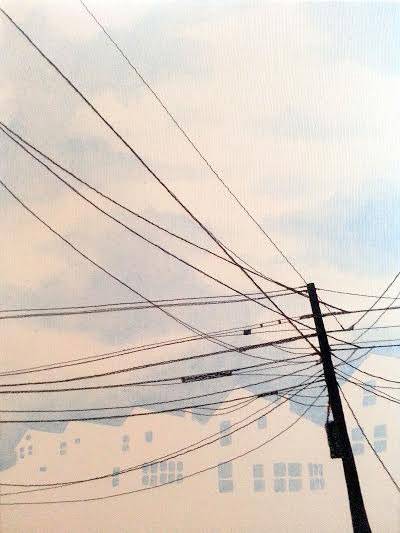 She currently lives and works in Somerville, Massachusetts.